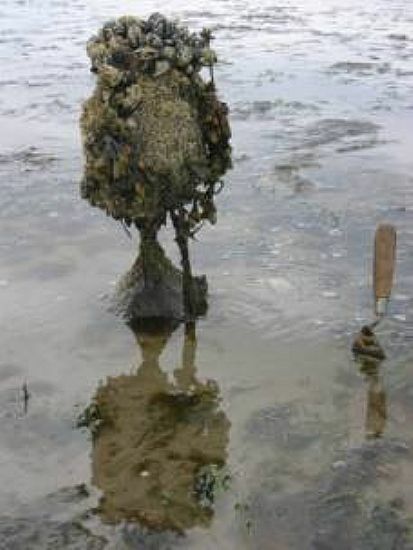 Dornoch Firth Archaeological Group was formed in 2007 by the Dornoch Heritage Society for those with a particluar interest in local archaeology. 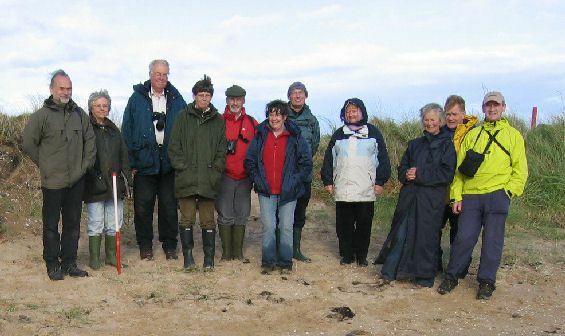 It staged its first field walk on Sunday, 23 September 2007 with 12 members and visitors surveying the anti-invasion defences south of the Struie golf course on the intertidal zone of the Dornoch Firth beach. This survey contributed to the 2007 Scottish Archaeology month. A total of 100 posts were recorded, laid out in a regular pattern; it is believed they were placed there in the Second World War as a defence against invading aircraft, particularly gliders which had been used by the German's to land troops in Holland. The posts would have had wire stretched between them into which any landing glider would become entangled and broken. If anyone knows anything more about these posts could they please contact the Dornoch Firth Archaeological Group care of Historylinks Museum, telephone 01862 811275 or enquiries@historylinks.org.uk. The results of the survey will be collated and made available via Historylinks Museum in Dornoch. Want to be involved in archaeology? We believe the archaeology of the Dornoch Firth area is rich, varied and deserves to be better known, so we are setting up a group to promote its recording and investigation. The Archaeological Group will organise talks, walks and field work. This is your chance to get involved at whatever level you wish.